The Network: What to do about those catalogues and unsolicited advertising material getting dumped in your mail box. What to do about those catalogues and unsolicited advertising material getting dumped in your mail box. Above are advertisements for two of the largest catalogue and direct mail corporations in Australia. If you are sick of junk mail in your letter-box, then the likelihood of it getting to you via these corporations is high. 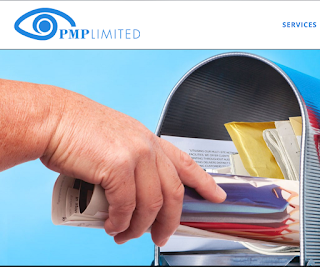 However, there are a few things to consider with regard to what is called "junk mail". Check this Australia Post site for information - but this does not tell you everything you need to know. For instance, there are exemptions. This Queensland Government site is helpful - but again there is a major omission. The major omission is electoral material - so come election time and you are getting unwanted material from the political parties and candidates, independent or otherwise, it is stiff cheddar. This material does not qualify as "junk mail". In addition, you might find that your neighbours may stick something in the box telling you about their garage sale. It would be churlish to complain - unless there is another reason. My complaint has been about catalogues - love numbers in one single delivery. Mine are delivered by Salmat. I live in Ballarat these days - but I used to live in Ringwood in Melbourne and I had dealings with Salmat there. So I am speaking from experience. I have noticed that in my neighbourhood the deliverers are of South Asian appearance so I think - mmm, these sort of people need every bob they can get; they may be discriminated against in employment; or perhaps a stay-at-home mum and the kids have to help out and this is the only way it can be managed. However, I dismiss this because I live across the road from a number of flats and the big catalogue bundles are collected. Perhaps because a number of inhabitants seem to be workmen, the bundles are ignored until they are blown around the street - which was the cause of catalogue problems where I lived in Ringwood. I have found, both at Ringwood and in Ballarat, that the "No Junk Mail" sign is ignored when it is first placed on the letter-box. Solution: Track down the catalogue supplier. In each case mine was Salmat. I then rang the national number for Salmat from the Business White Pages. In each case, Salmat sent the relevant local co-ordinator to call on me. THEN the problem was solved and I haven't had any more problems. My firmness on this topic is encouraged because all the major retailers who put out promotional sales catalogues have websites. Most of the population have access to a computer even it is only at the Public Library. The major retailers place their catalogues on-line and they are easy to read. My view is that if more people took time to read the catalogues on-line, then the need for printed catalogues could be gradually phased out. As a fall-back position, the major food corporations have their catalogues in-store for you to read there. Reading them in-store adds a little extra time to the shopping trip, especially the impulse shopping trip, but it saves a lot of money in other ways especially in local government clean-ups. Advertising material (other than newspapers) is unsolicited advertising material if it is not addressed by name to an owner or occupier of the premises, or to a person who is lawfully at the premises from time to time. This includes material addressed ‘to the householder’ or ‘to the occupier’ and is distributed without charge to the intended recipients. There are exceptions that apply to the delivery of newspapers. Common examples of advertising material include takeaway food vouchers, shop catalogues, magazines or newspapers, leaflets from real estate agents, refrigerator magnets or letters advertising the services of a tradesperson. Materials that do not contain advertising content for a commercial purpose are not classed as advertising materials. Common examples are letters from neighbourhood watch groups, correspondence advising of lost animals, political campaign material, local government newsletters and infringement notices (e.g. parking fine attached to a vehicle).